What if you could see in radio waves? How would the Universe appear, and how far could you see? 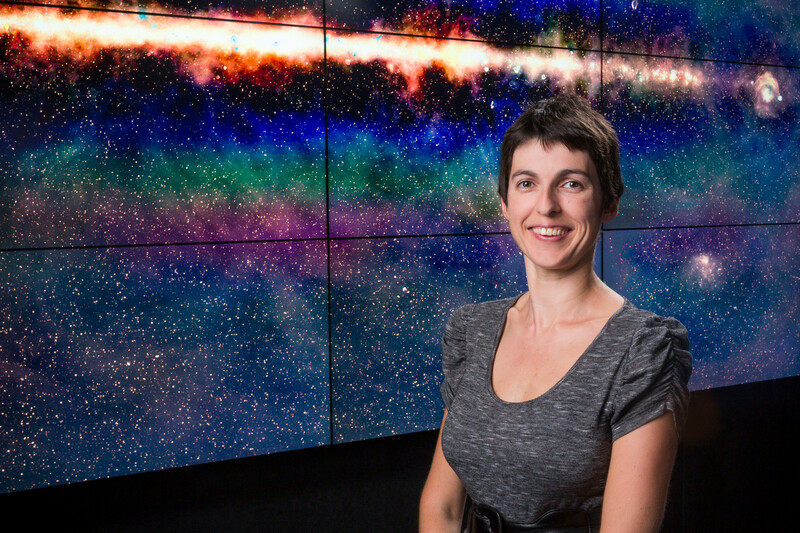 Dr Natasha Hurley-Walker has been working with a new radio telescope in outback Western Australia to create a map of the entire sky -- for the first time, in radio colour. Having amassed half a petabyte of data, and spent millions of supercomputing hours transforming that data into images, she has knitted together a mosaic that shows a true cosmic immensity. Her radio images allow you to see not just our solar system, or our own Milky Way, but some of the most distant objects in the Universe: supermassive black holes emitting cosmic jets into space billions of light years away. Bringing this vision to the public has inspired Natasha to become a passionate science communicator: she has given a TED talk with over 1M views, spoken at WA outreach events such as Pint of Science, Disrupted, Scinapse, Science Cafe, and Astrofest, has appeared on radio and TV including the BBC's world-famous Sky at Night, and was named one of the ABC's Top 5 Scientists for 2018.